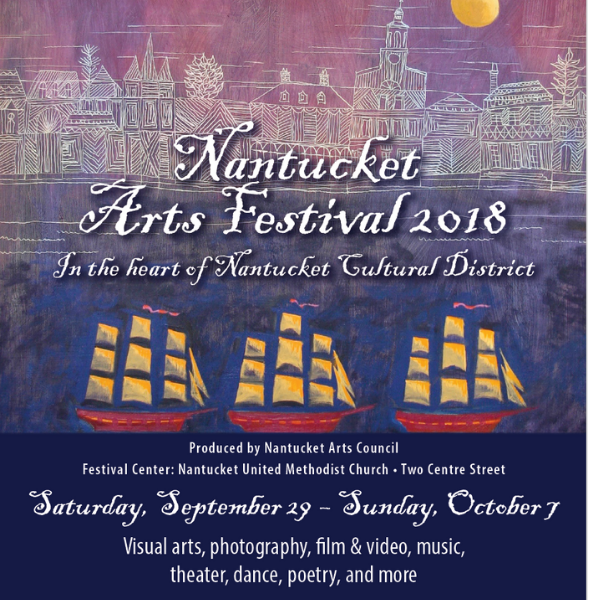 Nantucket Arts Festival: a celebration of arts and culture on Nantucket. Many of the island's arts and cultural groups have scheduled special programs during the festival. Submitting artwork? Please read our Letter to Artists and download the Festival Exhibition Submittal Form. This year's theme of “Avoiding the Usual - Experiencing the Unforeseen in Unusual Ways” is meant to be interpreted literally, figuratively, or playfully. 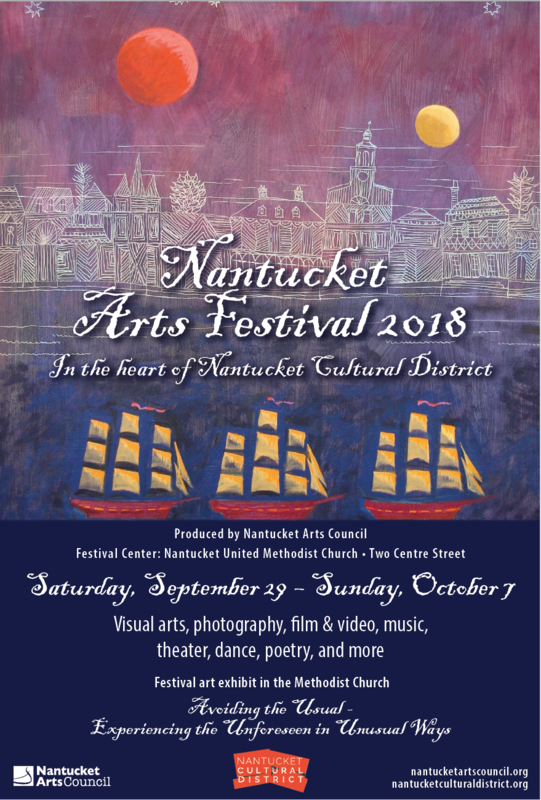 Events included the experimental NAC Art Exhibit; NCTV Nantucket Shorts, a video shorts mini-festival; and other events which are listed in our calendar. The Methodist Church at 2 Centre St at Main Street again serves as The Nantucket Arts Council Art Exhibit and homebase.